You've found the perfect place to call home. Now, you just need to find the best way to make it yours. That's where Home Federal Bank comes in. Local decision making, processing and servicing. Mortgage lending made easy. Ask us how today! Which mortgage loan is right for you? Read more about each below or contact us today for more information. Plus we make the process easy with local financing and local approvals. Every step of the process happens right here, so you close quickly! 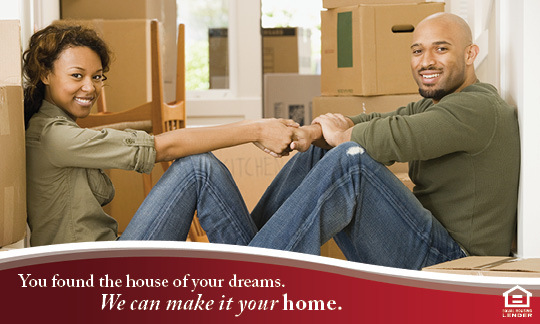 Contact one of our Mortgage Specialists today or start a Mortgage Loan Request now! Conventional Home Loans Conventional mortgages are not federally backed, but must adhere to specific guidelines set by Fannie Mae. This type of mortgage is suited to those with good or excellent credit. Rates can be fixed or flexible. A down payment is typically required. HFB offers local underwriting, low rates and quick turnaround with our conventional loans. HFB is an approved Fannie Mae Seller-Servicer, so your loan can be serviced locally by our team. When you have a question, we're right here to help! FHA & VA Loans An FHA insured loan is a US Federal Housing Administration mortgage insurance backed mortgage loan, which is provided by a FHA-approved lender. FHA loans are a type of federal assistance and have historically allowed lower income Americans to borrow money for the purchase of a home that they would not otherwise be able to afford. VA-guaranteed loans are available to service members, veterans and eligible surviving spouses. VA loans have competitive interest rates and often require no down payment or private mortgage insurance. HFB has been a HUD approved lender since 1928 and is endorsed by HUD and VA to underwrite and approve FHA and VA loans. This means your loan is underwritten and approved locally. Portfolio Loans HFB offers portfolio options, so loans that may not fit Fannie Mae and Freddie Mac guidelines may still fit ours. At HFB common sense underwriting decisions still prevail. Home Equity Line of Credit Life is filled with opportunities and challenges, from home improvements to dream vacations to college tuition! Make the best of them with HFB's HELOC. A HELOC loan gives you a revolving credit line, similar to that of a credit card. Using your home as collateral, you can write yourself a vacation loan, home remodeling loan or a loan for whatever your special needs may be. If you are Military, a Teacher, a Doctor, Nurse, EMT, Fire Fighter, Police Officer or Professional we may have a program just for you! Find out more about our Special Programs. *All loans are subject to credit and collateral approval, NMLS #503926. † Lendable Equity: the amount represented by the current, appraised value of your home minus any existing debt secured by your home.